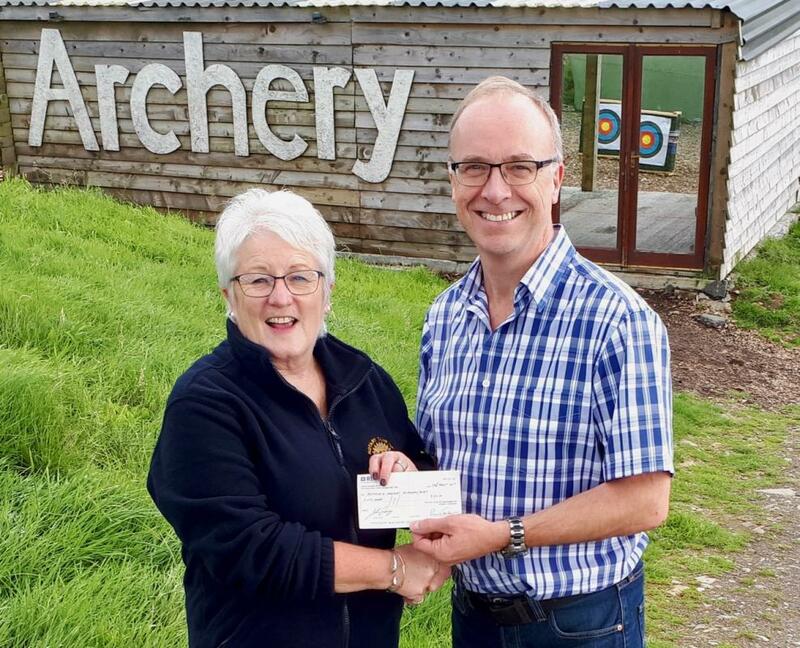 Last Saturday Anne Halliday, representing Kirkcudbright Rotary Club, presented a cheque for £50 to Alex Dickson from the Dumfries and Galloway Befriending Project. The money was to pay for one young person from the 'Befrienders' group to take part in their 'Big Day Out' at Laggan Outdoor Activity Centre. Project Manager Alex will be speaking about this project at Kirkcudbright Rotary Club on Tuesday 31 October.